Monday, 8 April 2019, 2:39p.m. Top UK forensic pathologist Richard Shepherd, who gave evidence in a major inquiry into Princess Diana's death, has revealed the incredibly rare injury that claimed her life after the 1997 car crash in Paris. For years conspiracies have swirled as to whether Diana's death was an inside job. Shepherd has revealed Diana's fatal injury was "tiny" - and he has never seen a similar cause of death in his decades as a top pathologist. The cause of death also explains how Diana could be conscious and able to speak to rescuers, but her condition quickly worsened. And if she had been wearing a seatbelt Diana may have survived the crash with just a black eye, rib injuries and maybe a broken arm. In 2004 a British police inquiry was opened to establish if there as any reason to doubt that Diana and Dodi Fayed were victims of a road crash accident, with Shepherd appointed to review the evidence. 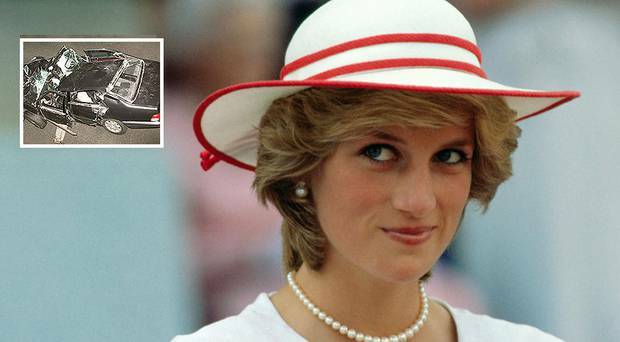 In a new book Unnatural Causes Shepherd details the crash that ultimately claimed Diana's life - revealing an extremely rare and small injury is what eventually killed the former Princess of Wales. In the car was driver Henri Paul, with Diana and partner Dodi Fayed in the back seats of the Mercedes, and Fayed's bodyguard, Trevor Rees-Jones, sitting on the right of the driver, in front of Diana. The only occupant wearing a seatbelt was bodyguard Rees-Jones. "Driver Henri Paul hit the steering wheel and his injuries reflected that but, microseconds later, he was also hit from behind by Dodi, who was a big man and who was still travelling at more than 60mp/h," Shepherd writes in the book. 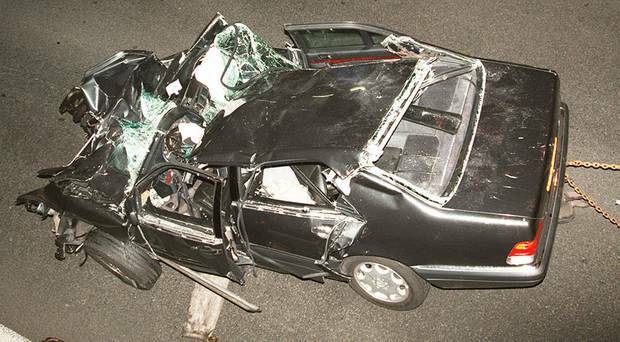 "Henri Paul effectively acted as Dodi's airbag and he died instantly. So did Dodi. "Diana was slightly more fortunate because their bodyguard, Trevor Rees-Jones, was sitting in front of her and he was strapped in." Shepherd explained that bodyguards don't often wear seatbelts as it restricts their movement, but on this occasion Rees-Jones was. "Belts are designed to give gradually while they restrain. So he was held by the belt and partially padded by the car's airbag, which by now had inflated, as Diana's body catapulted forward from the back seat. "She was much lighter than Dodi and Rees-Jones's belt would have absorbed some of the extra force. This slightly lessened the energy of the impact for her. "She actually suffered just a few broken bones and a small chest injury – but this included a tiny tear in a vein in one of her lungs." Diana was initially conscious and talking, but she soon fell into cardiac arrest. During surgery, medical staff identified the problem - a tear to a vital vein. 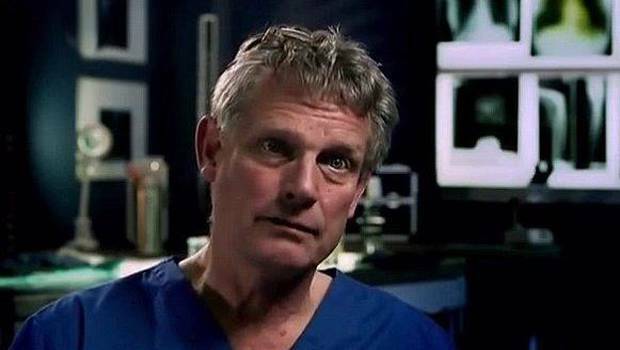 Richard Shepherd is a top UK pathologist asked to review Diana's autopsy. Shepherd describes the injury and the location of the injury as something he's never seen in his decades as a pathologist and says it explains why Diana was initially conscious and able to communicate. "In the ambulance, she gradually lost consciousness. When she suffered a cardiac arrest, every effort was made to resuscitate her and in hospital she went into surgery, where they did identify the problem and attempted to repair the vein. But, sadly, by then it was too late. "Her initial period of consciousness and initial survival after the accident is characteristic of a tear to a vital vein. Anatomically, it's hidden away, deep in the centre of the chest. "Veins, of course, are not subject to the same high-pressure pumping as arteries. They bleed much more slowly. In fact, they bleed so slowly that identifying the problem is hard enough. And, if it is identified, repairing it is even harder. "Her specific injury is so rare that in my entire career I don't believe I've seen another. "Diana's was a very small injury – but in the wrong place. Diana's death is a classic example of the way we say, after almost every death: if only. If only she had hit the seat in front at a slightly different angle. If only she had been thrown forward 10mp/h more slowly. "If only she had been put in an ambulance immediately. But the biggest if only, in Diana's case, was within her own control." Shepherd says if Diana had worn a seatbelt she may probably would have survived and appeared in public two days later with a black eye, fractured ribs and maybe a broken arm. Among the what-ifs Shepherd is sure of one thing - the cause of her death was rare and indisputable. "The pathology of her death is, I believe, indisputable. But around that tiny, fatal tear in a pulmonary vein are woven many other facts, some of which are sufficiently opaque to allow a multitude of theories to blossom. "But I entirely concurred with the findings of the inquiry. It was a tragic accident."